All events for Get Creative! 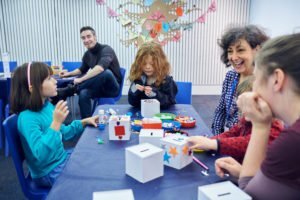 Join us in the Welcome gallery for arts and crafts inspired by our current exhibition Great British Jews: A Celebration. Make your own puppet and design your own Award Badge! This is a free, drop-in session from 11am – 12.30pm and 2 – 3.30pm. The Learning Programme has received generous support from Lord and Lady Levene of Portsoken.